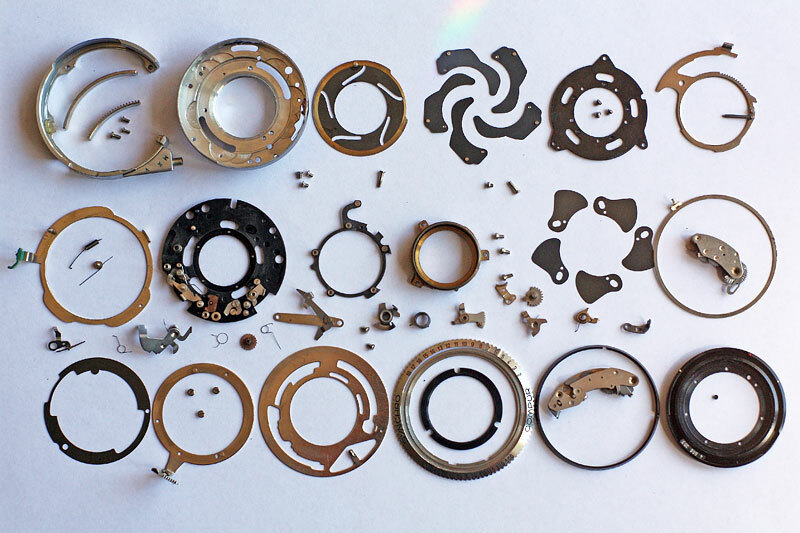 Here is a picture of a dismantled Synchro-Compur shutter from a Kodak Retina IIIc camera. You can see just how many components there are, all of which require careful cleaning, and some of which need to be lubricated on reassembly. This is exactly how far I dismantle a shutter during a routine service, although of course I don't lay all the parts out neatly like this every time, or at all come to that. Normally I will have the parts in two or more small containers on the workbench.